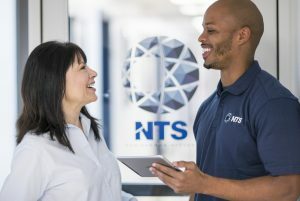 NTS is seeking a Mechanical Test Engineer, preferably with hydraulics, air flow or pressure or flow testing experience or related. 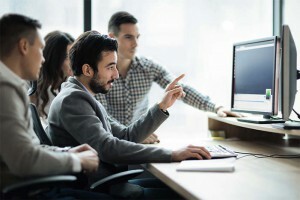 You will work in the capacity of an Applications Engineer, providing engineering support to Sales and Operations by assisting in the day-to-day quoting process for proposals/quotations and bids for testing services to new and existing customers. •	Assists in the day-to-day overall quoting process and assures the quotations are accurate and complete and delivered on time. •	Assists other Application Engineers as may be required. •	Develops and writes quotations for new and existing accounts. •	Optimizes price on quotations by setting the most appropriate strategies for a particular situation with the goal of positioning NTS to win the work. •	Communicate with the customers during the quoting process concerning technical issues, schedule and pricing. •	Works in cooperation with facility managers, regional sales managers, and customer service agents, toward setting appropriate winning strategies on quotations. •	Answers technical questions from Sales personnel and potential clients. •	Maintains a current awareness of the business objectives, unique strengths/ competitive advantages and current capacity utilization for each type of service provided by focused facilities/markets. •	Maintains current and on-going information regarding the capabilities and business climate of our competitors. •	Develops a keen understanding and on-going awareness of all aspects of the external environment affecting our business. In addition to the competition, this includes the economic and regulatory environments, supplier information, labor market conditions, and the industry/market trends for the various segments we serve and services NTS offers. •	Maintains an in-depth technical knowledge of all NTS services. •	Maintains a good working knowledge of the test methods that are utilized in the industry. •	Performs other duties as may be assigned. •	Must be eligible to work in the US without sponsorship and be able to pass an extensive background check. •	Past program management experience OR experience providing engineering support to sales personnel. •	Strong customer interface skills are a must. •	Strong understanding in quoting, pricing and negotiating skills to provide the best return and value for the company and our customer. •	A good working knowledge of test methods and standards that are utilized in the industry. •	Strong communication and documentation and presentation skills. •	Excellent teamwork & interpersonal skills are a must. •	Ability to develop, plan and implement short and long-range goals. •	Ability to work both independently and in a team environment and with limited direction from management. •	Strong computer literacy with knowledge of the full Microsoft Office suite and ERP Systems. •	Ability to work and thrive in a fast-paced, dynamic work environment.